The itch DOES go away! I have bought many items from Grommet, but this gadget has been my favorite so far. It really does the job when it comes to fighting the dreaded itch after you get a bite by a mosquito or no-see-um. I’m the one in a group to be the only to get bit by the bugs and the Bite Helper has come to my rescue time & time again. Sometimes I’ve had to do a 2nd application as per instructions, but the itch goes away!! In fact, I ordered a 2nd one to keep in the car! Highly recommend! My husband seems to be a beacon to all biting insects. This really helps to dull the itching sensation and he uses it all the time. The idea makes sense and it works. Reduced the healing time for bites. The kids couldn’t handle the heat but it didn’t bother me. I liked my bug bite neutralizer so well that I had to buy another one for a friend. It really works! I spend a lot of time outdoors and the bugs "love" me! I am forever finding itchy bumps at the end of the day even if I use a bug repellent. This heat idea works wonderfully! Instead of scratching until the skin bleeds, an application with this product gives itch relief and quick healing! Why didn't someone think of this sooner???? Love it! In Florida we get our fair share of bug bites. While hydrocortisone cream is a good option, we find it tends to wear off and multiple applications are needed. 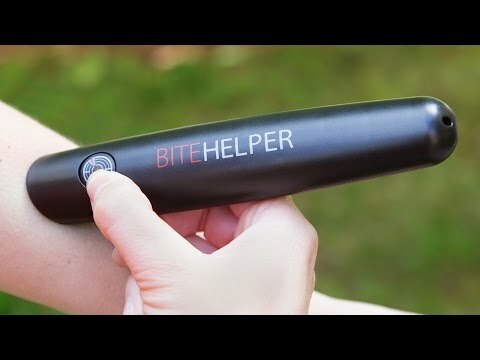 With the bite helper, we generally use it once for the initial bite, and then once again the second day for the worst bites. Given a choice between the bite helper or hc cream, I choose the bite helper first! Definitely recommend. Neutralize an itchy bug bite in 45 seconds. This bug bite soother uses science to soothe your skin after mosquito, bee, wasp, or ant bites. Female insects leave a toxic insect saliva and bacteria-laden mixture when they bite. But bacteria are thermolabile (they’re destroyed by heat), so Bite Helper uses heat to kill the bacteria. To improve blood flow in the affected area, which also helps your skin recover, a pulsing vibration is added in, too. 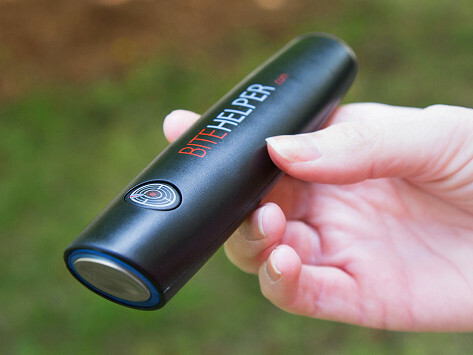 Its barely-thicker-than-a-pen design makes Bite Helper easy to take with you on mosquito-prone trips. We learned it works best when you use it in the four-hour window right after the annoying insect assault.